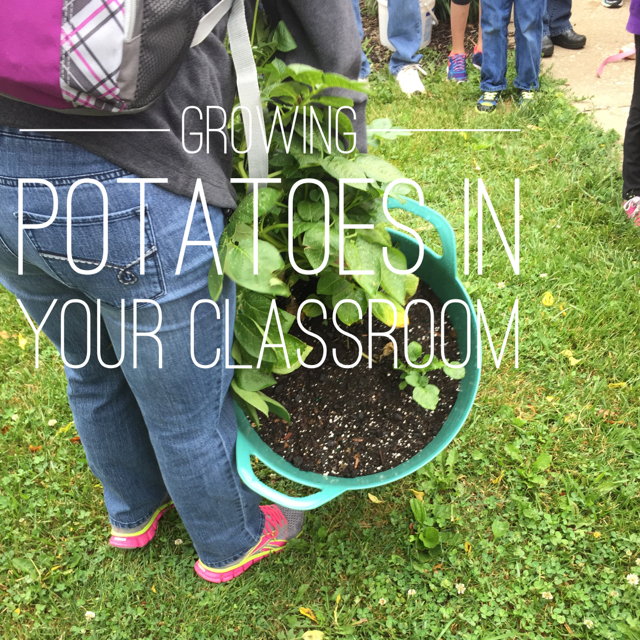 My class decided to grow potatoes in our classroom this year leading up to our UTZ potato chip factory. To see a post on how cool the UTZ potato factory is as a field trip, see my later post. We got two huge container and planted two different types of potatoes; in one container we planted 4 heeled potatoes and in the other we planted 4 freshly cut potatoes in the other. 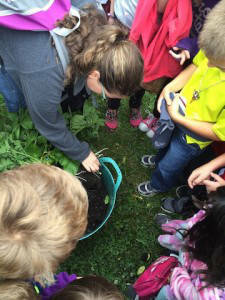 We did research on which type of potato plants better and our class read both types of planting. We decided to find out ourselves! We planted both to observe which ones did better. The results are in! The container with the fresh cut potatoes grew amazingly, and the heeled potato became moldy and did not grow at all. Check this blog out about how to 4 Simple Steps to Grow 100 Potatoes in a Barrel to see how to get started! The students loved observing the growing leaves and plant, I made potato journals to keep notes.